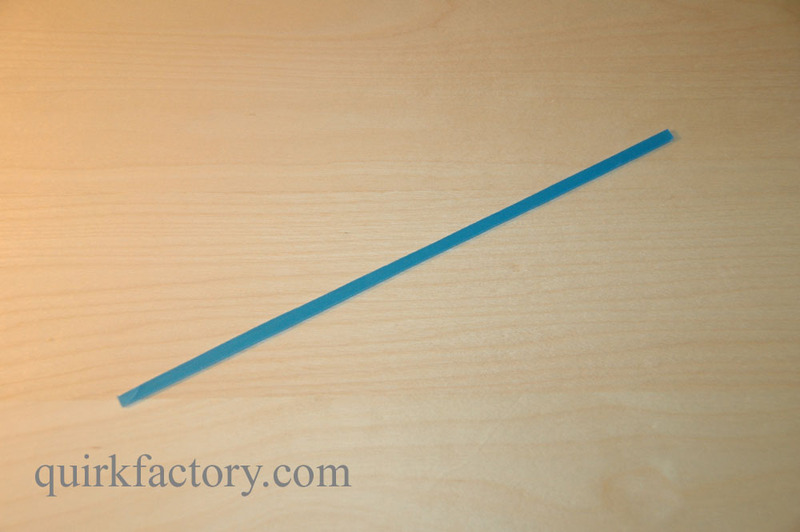 Mark a long plastic strip which is 0.25" wide. You'll need a strip that's about 12" long in total. 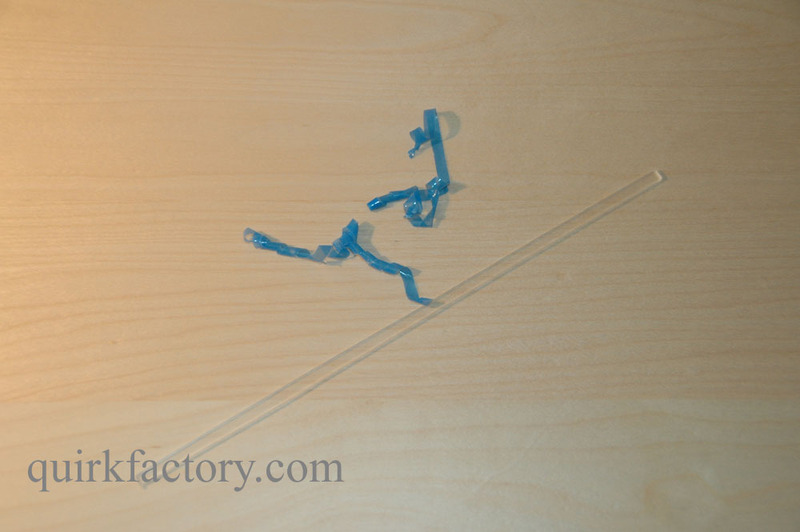 Cut the plastic strip. When you're done, it should look like this. Peel off the plastic protection. 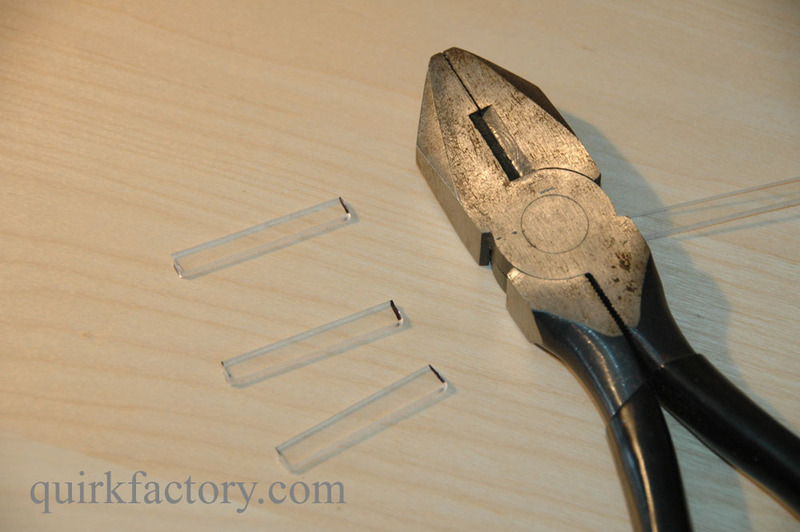 This is much easier to do before you trim the individual strips. 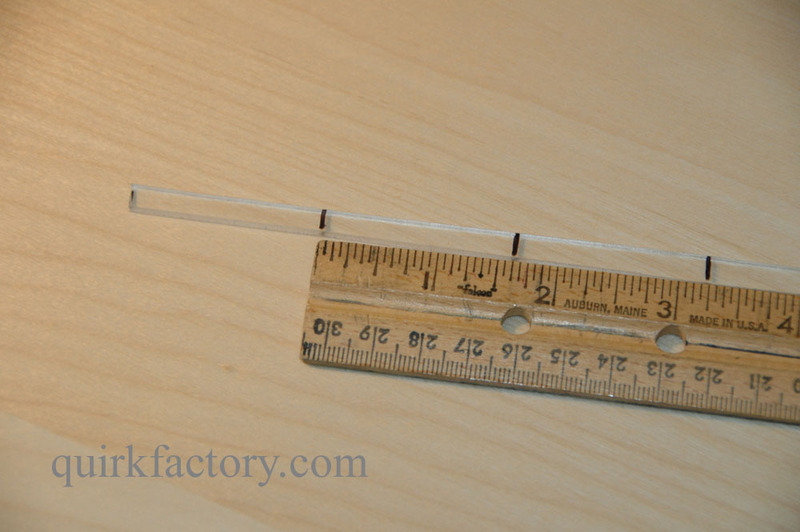 Mark the plastic strip into sections about 1 5/8" (1.625") long. 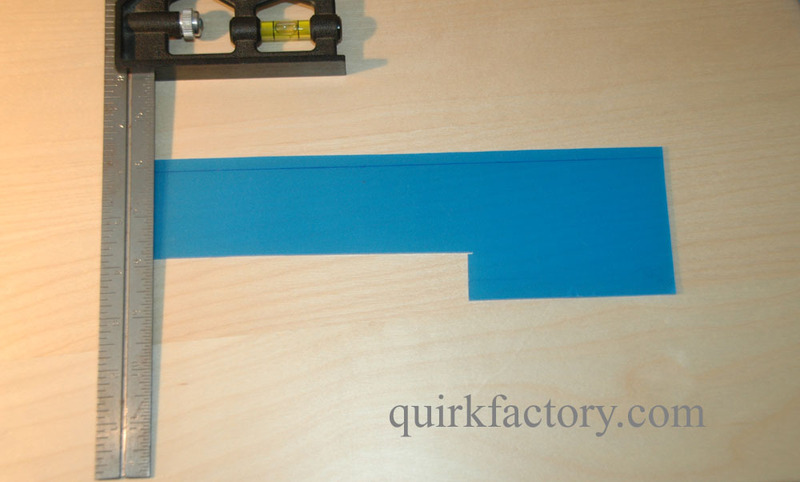 Cut the strips where you've marked them. A clean cut is useful but not absolutely necessary; I used a wire cutter for this. Keep cutting until you've got seven pieces.